This has all happened very fast, and I will make many improvements to this site in the days to come, but for the moment it is a landing page to make it is easy as possible for all my wonderful friends, family, and colleagues to support my efforts as a contributor to the world’s leading nonprofit news source, Nonprofit Quarterly! As you will see from the link above, I did write a single NPQ article some time ago, but now I am humbled to have been invited as a regular contribute to their newswire service. The easiest way to keep in touch is to use the Subscribe feature available right here (to the right) on this page. Because I have created this WordPress site for the singular purpose of sharing my published NPQ articles, you won’t be bothered by emails about anything else – you will simply receive a notification when any of my articles are published. This will likely be about once a week for the near future. 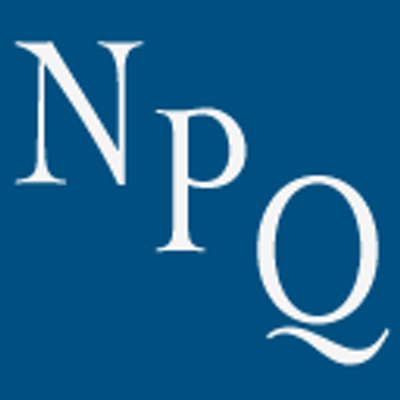 I also encourage you to subscribe (free) to receive all the nonprofit news at NPQ. Although many of the stories are focused on the United States, there are many articles of international interest, including for Canadians.